Her beaming glories dart� Tis then�'tis then, I wake to life and joy. No. 90. Sweet fas the eve on Craigieburn. 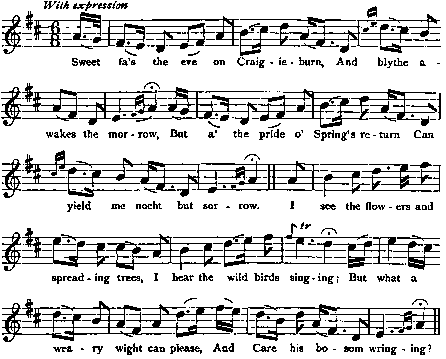 Tune: Craigie-burn Wood Scots Musical Museum, 1792, No. 301. And Care his bosom wringing?